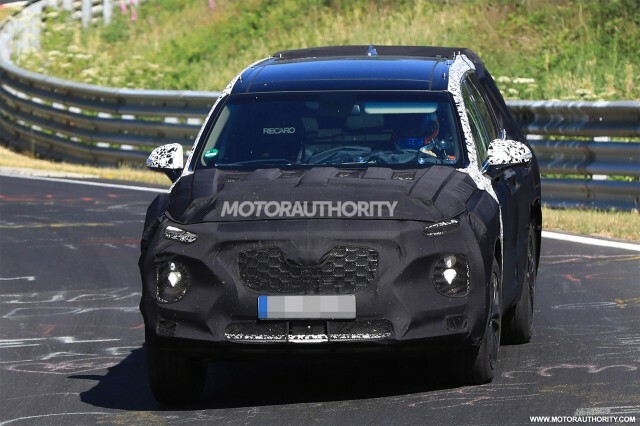 Engineers from Hyundai have been spotted testing the next generation of the Santa Fe mid-size SUV. 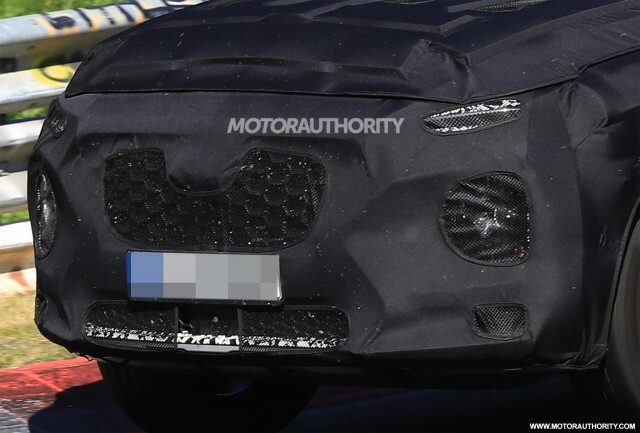 The prototype is for the redesigned version of the larger 3-row model, though it’s a safe bet Hyundai is also at work on a redesigned version of the 2-row Santa Fe Sport. We’ve heard that Hyundai is mulling whether to revive the Veracruz name for the 3-row version, though nothing has been confirmed yet. The original Veracruz was dropped after the 2012 model year. The design of the new SUV appears to be evolutionary although there are some subtle differences between it and its predecessor. For example, the side mirrors are now positioned on the doors instead of at the base of the A-pillars. The headlights also adopt a split design where the daytime running lights sit at the top near the leading edge of the hood and the main projectors form a vertical stack below. This is the new look for Hyundai’s SUVs and has already appeared on the Kona subcompact. The grille, meanwhile, adopts Hyundai’s cascading grille design that we first saw on the 2018 Elantra GT. It’s too early to talk powertrains but expect the 3-row SUV to continue with a naturally-aspirated V-6 while the 2-row model should continue with inline-4 options. Front-wheel drive should continue to be standard on both, with all-wheel drive remaining an option. Potential rivals include the Ford Explorer, Honda Pilot, Kia Sorrento and Toyota Highlander, as well as newcomers such as the Volkswagen Atlas and yet-to-be-revealed Subaru Ascent. Look for a debut in 2018, meaning we should see the vehicle arrive as a 2019 model.